Like all mobile titans, HTC is always looking to invest in the next big thing, be it software or components. 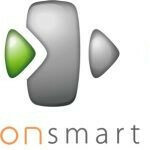 This year, HTC invested US$40 million in OnLive Inc. If you're a serious gamer, you're probably familiar with OnLive. They provide cloud-derived gaming to PCs, Macs, Internet-connected televisions, and mobile devices. An HTC spokesperson, Maggie Cheng, said that the acquisition would "strengthen its gaming capabilities and help HTC tap into increasing demand for games on smartphones." The investment means a significant boost for OnLive's cloud gaming on all platforms, but HTC's version of OnLive might come with bonus features, or discounted service. OnLive's gaming service is available for US$9.99 per month. That membership includes unlimited access to their library of non-new titles. There is also a PlayPass subscription, where you can buy 3-day, 5-day, or unlimited rentals on new releases. PlayPass rates vary by the popularity and novelty of the title. Finally, they have a $99 game system that hooks up to your TV. The model sounds great for online gaming, but given consoles' hold on the market, we think their computer and mobile offerings will be more successful. Cloud gaming is the future. It has convenience for the consumer as well as reduced costs, and for the publishers it has the total elimination of piracy, meaning that if you want to play the full game you have to buy it. Onlive is still smalltime due to the lack of publishers on board but if they go under, someone else will take their place and so on until Cloud Gaming takes over consoles.